All visitors to Indonesia must be in possession of a passport valid at least six months from dates of arrival. Visa on Arrival is available for certain countries only and must be checked for current regulations prior to departure. Call our Indonesian Embassy or Consulate for up to date information or log on to http://www.imigrasi.go.id. Most business visitors will be welcomed at the airport by DGNED staff. 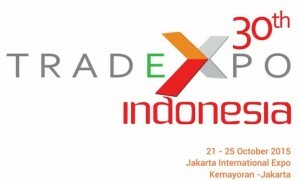 Tradexpo Indonesia 2015 will have a special welcoming services and information desk at Soekarno Hatta airport to guide all official delegates to their hotels.